The Y7 Mentorship Program focuses on real world teaching experience, breaking out of your comfort zone and stepping into the role of yoga teacher. During our six week Mentorship Program you will be encouraged to move away from any self-limiting beliefs around teaching yoga and to move toward tackling any obstacles that are preventing you from being the best teacher you can be. This module includes working one-to-one with a Y7 Senior Instructor as well as teaching six public classes in a select Y7 Studio with feedback to follow. You will teach community classes in a Y7 studio, assist your mentor’s classes, receive feedback, attend and observe Y7 classes, complete both reading and writing assignments, as well as attend a 25-Hour Weekend Workshop focused on Finding Your Voice. Our Yoga Alliance certified program counts as 100 hours toward the Y7 Studio 300-Hour Teacher Training Certification. Why are you interested in this mentorship program and what do you hope to gain from it? Where and when did you complete your 200-hour teacher training? Are you currently teaching yoga? if so where? Thank you! We will be in touch soon. For any questions email teachertraining@y7-studio.com. Attend 25-Hour Finding Your Voice Workshop, held once per quarter with senior Y7 Instructors. This 25-Hour Finding Your Voice Immersion is designed for certified yoga teachers who are ready to find their authentic voice and discover what it means to be a true leader. In this training, we will strip away any barriers that might be holding you back from finding your truest expression of self as well as how that shows up while guiding a room of students. We will focus on learning to speak authentically in order to use your voice as a tool of connection. The ability to speak your truth and let yourself be seen is a craft that often takes time to develop. We will work together to refine this skill and explore how to use your voice and your words in a profound and powerful manner. Join senior teachers for this transformational experience that’s sure to enhance your teaching and help you connect with the true, confident leader within. Remaining balance due 1 week before program start date. Refund window closes 2 weeks prior to program start date. The Y7 Mentorship is accredited with the Yoga Alliance and counts as 100 hours towards Y7's 300-Hour Teacher Training Program. The Mentorship Program does not guarantee a paid teaching position at Y7. However, it does prepare you to feel confident moving into the audition process as a yoga teacher. Acceptance is subject to Y7's admission process. 100% attendance is required to earn your 300-Hour Teacher Training Certification. Joanna Cohen is a yoga teacher (RYT500) and health coach based in NYC. Since 2012 she's studied vinyasa yoga, hatha yoga and trauma informed yoga among other practices. Her most formative training experiences have been through the Sivananda lineage in South India where she lived, worked and studied. Joanna is passionate about teaching students to build their yoga practice on the mat and take it into their lives. Michelle Martini is a reiki-attuned yoga teacher and meditation guide, certified in over 2,000 hours of yoga trainings. Her unique style of teaching is inspired by the diverse dimensions of yoga she has studied, including: hatha and vinyasa yoga, meditation, Thai yoga massage, aromatherapy, prenatal yoga, and the art of sequencing. She has received initiations from several master teachers, most notably: restorative yoga with Judith Hanson Lassater (the founder of restorative yoga) and yoga nidra with Yogi Charu, under the Satyananda Saraswati lineage. In addition to her classes and workshops at Y7, Michelle facilitates international teacher trainings and retreats. She is the creator of Y7’s Heavily Meditated workshops and author of the book Guiding Yoga Nidra. Kate Sortino is a 500-hour Certified Vinyasa Yoga Teacher, as well as a trained meditation teacher. Kate attended the Svastha Yoga training program for Yoga for Depression and Anxiety under the tutelage of Ganesh Mohan. She also holds her Essential Certification in Thai Massage from Lotus Palm. She hopes that she can help her students strengthen their ability to manage their lives, increasing their capacity to experience love, joy, and overall, gratitude. 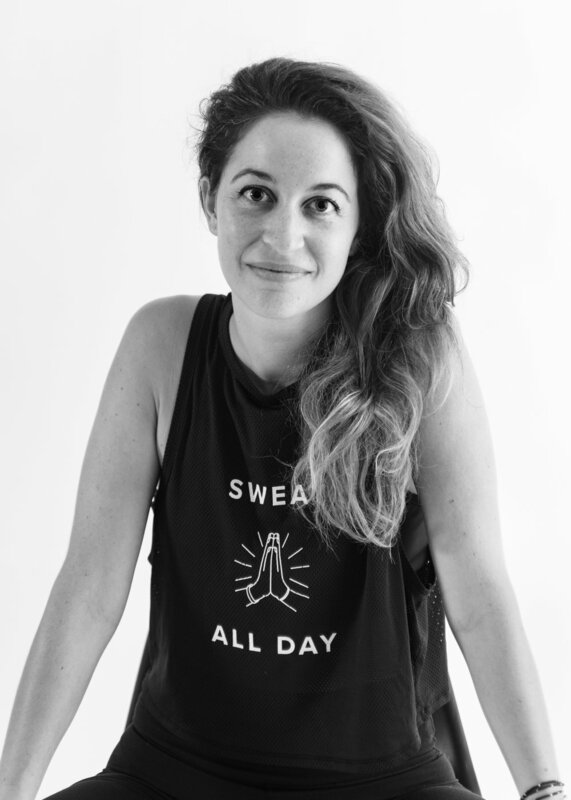 Jenna D'Angelo is an E-RYT 200 Certified Vinyasa based Yoga Instructor, with additional trainings in AromaYin/Restorative and Experiential Anatomy Back Care through Judith Hanson Lasater. 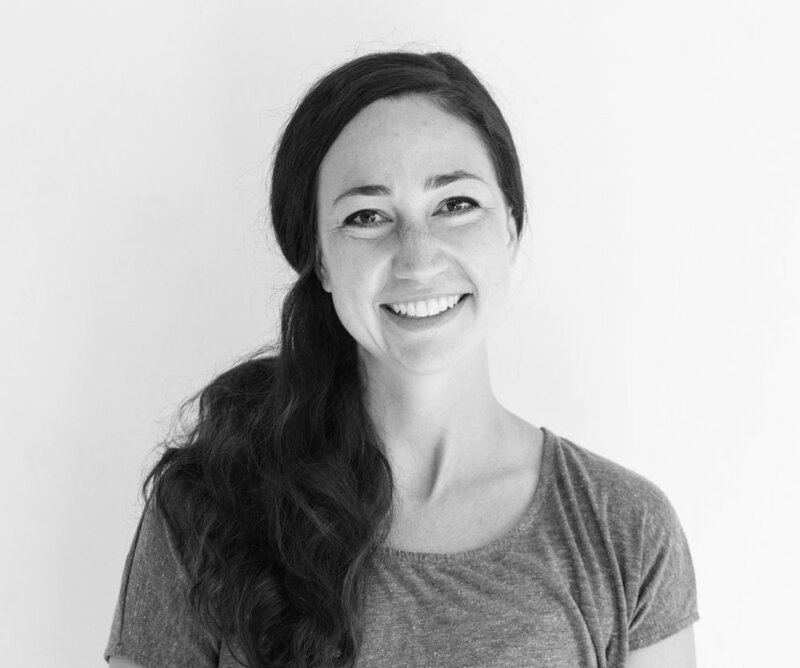 Having dealt with several injuries in her life, Jenna leads her classes with a heavy emphasis on proper alignment to prevent and heal from injury with a strong connection to breathwork. Jenna wants her students to feel empowered to always listen to themselves and their own bodies to create a safe, sustainable and joyful practice on and off of the mat. Leah Roth has a background in dance, and developed a yoga practice to help ease the chaos of the city. Eventually she turned this love of fitness and yoga into a career and received her RYT 200, AFAA group fitness and MADD Dog certifications going on to teach in disciplines from yoga to kickboxing and dance.